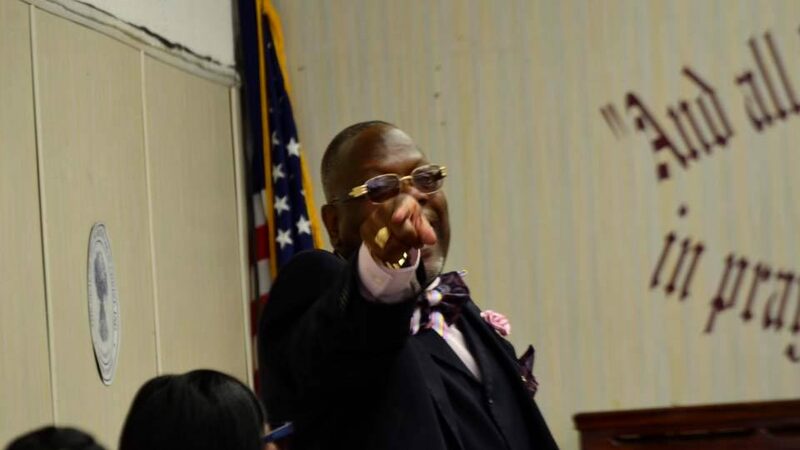 Pastor Jay Gooding Sr. is on a mission to stop gun violence, and to spread the “good news” – FELLOWSHIP TABERNACLE MINISTRIES C.O.G.I.C. Pastor Jay Gooding Sr. is on a mission to stop gun violence, and to spread the “good news” of the gospel. 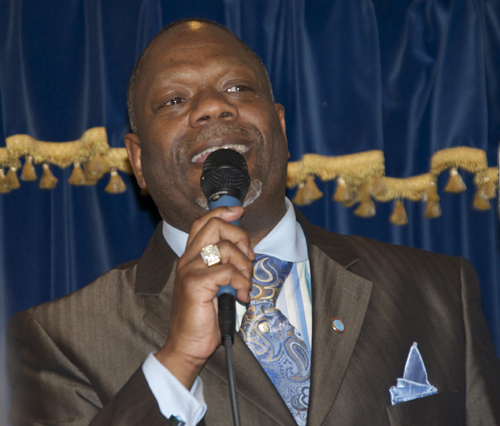 While leading and providing spiritual sustenance as pastor of two churches – Fellowship Tabernacle in Williasmbrdge, which he founded 17 years ago, and Miracle Revival Temple near the Grand Concourse – he is also one of the leading lights in an anti-violence program based out of Jacobi Medical Center called Stand Up to Violence. The anti-violence initiative employs people to try to prevent retaliation when shootings happen in communities and Gooding, 52, leads rallies within 72-hours of gun violence to urge a stop to bloodshed. The program, also referred to as SNUG (‘guns’ spelled backwards), was founded earlier this year by Senator Jeff Klein with other elected officals and medical, religious and community leaders. “I have been called on through pastoring to help families who have lost loved ones tragically,” said Gooding, adding that he was asked by Senator Klein to be a part of the program. His entry into ministry was partially through gospel music, he said. He began playing the organ at age of five, and became the organist at his father’s church when he was 11. While in his teens, he played football for DeWitt Clinton High School. From 1984 through 1987 he was a member of the award-winning gospel music group “The Ecstatisti­cs.” His music ministry led him to establishing a community choir: “Jay Gooding and the Fellowship” in 1991. The choir has recorded five albums, including a track called “No Stopping Us Now – The Remix Project,” which was a number one single on a countdown of WTHE, a gospel music radio station. While at times he never thought he would become a pastor, music helped lead Gooding back to God, he said. He preached his first sermon in 1993. Today, he is a Bronx superintendent for the Church of God in Christ. His community service is extensive, including: president of the 49th Precinct Clergy Council, the executive board of the 44th Precinct Clergy Coalition from 2002 to 2008, executive of Chaplains Helping in Police Situations (C.H.I.P.S. ), and now director of community outreach for SUTV. He is the recipient of the 49th Precinct Community Council’s Tom Twyman Citizen of the Year Award for 2009, and NYPD 2013 Partnership in the Community Award.